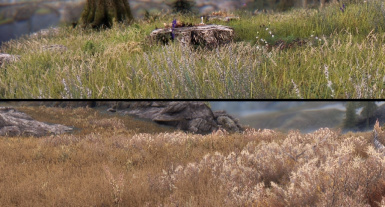 Big grass overhaul. 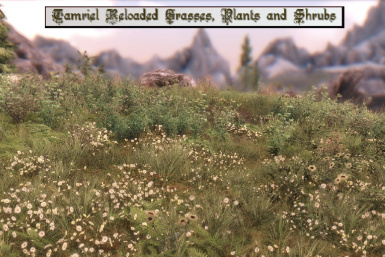 Almost 120 different types of grasses, plants and shrubs. 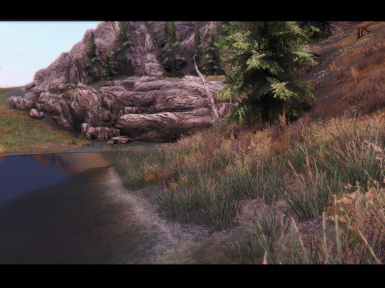 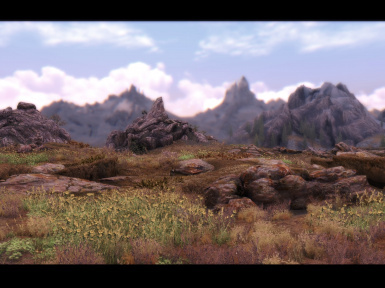 New landscapes giving variations to Skyrim terrain. 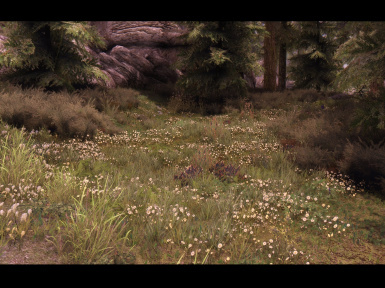 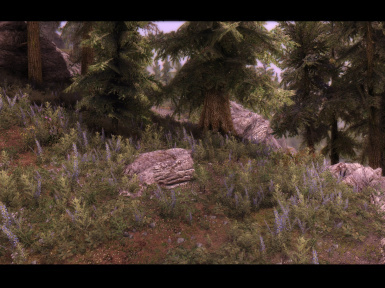 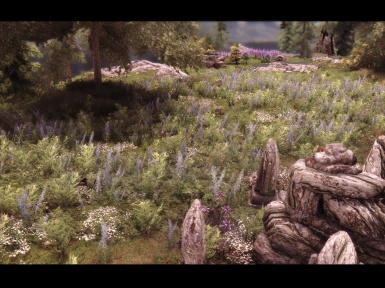 No more the same grasses for pineforest or whiterun. 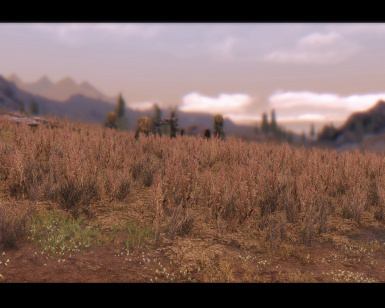 New farmland terrain. 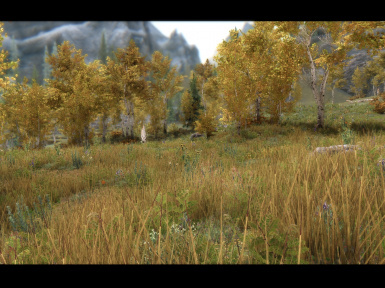 4k, 2k and 1k textures. 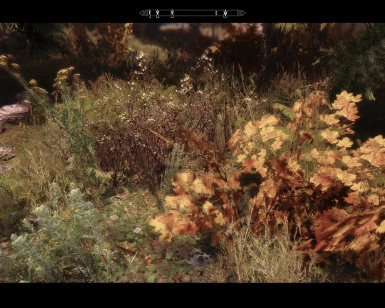 First this isn't a different mod than TR - Flora. 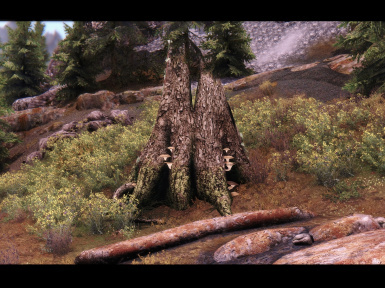 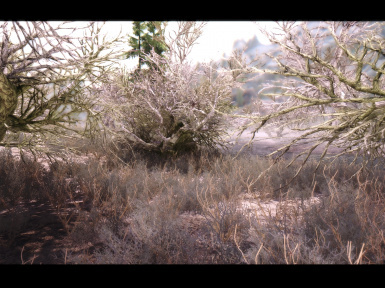 I splitted it in TR grasses and TR trees so I can work better with both since they will be huge mods. 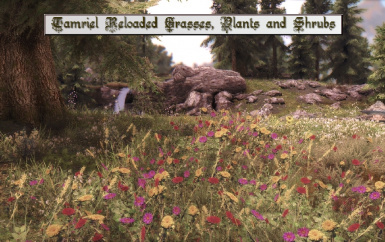 What I want is give lot of variety in Tamriel flora. 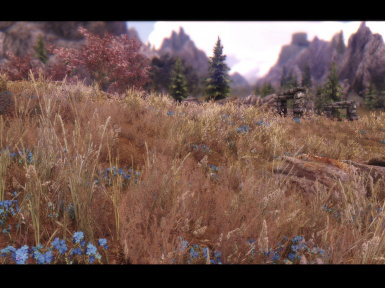 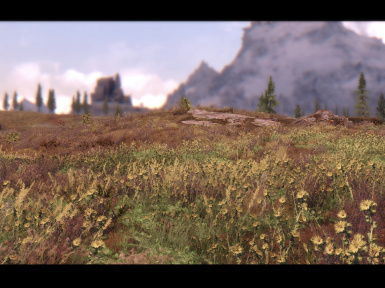 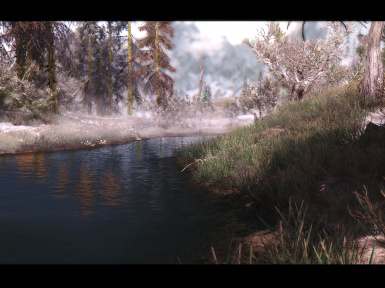 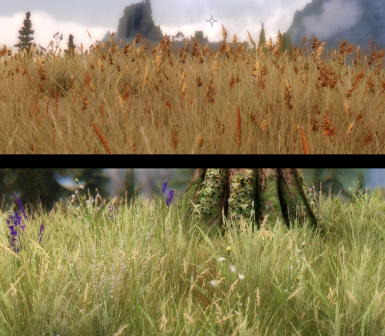 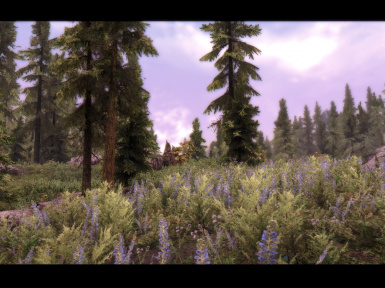 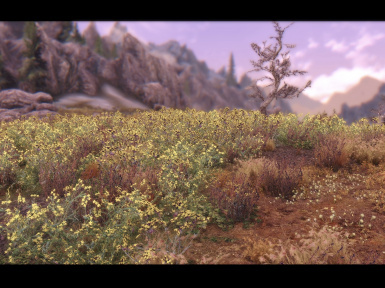 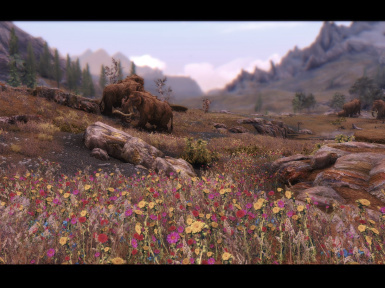 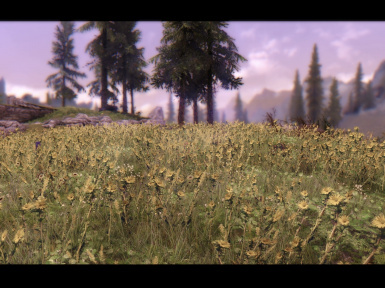 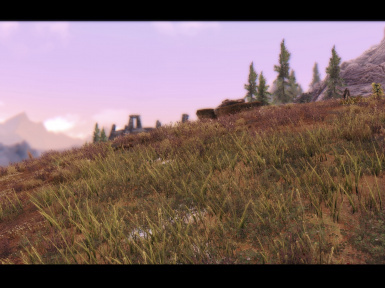 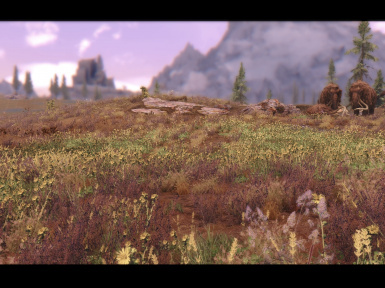 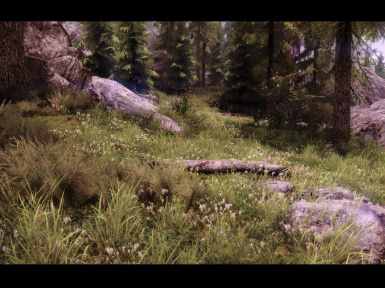 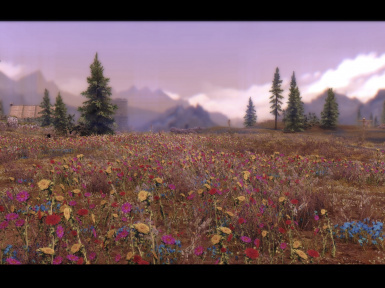 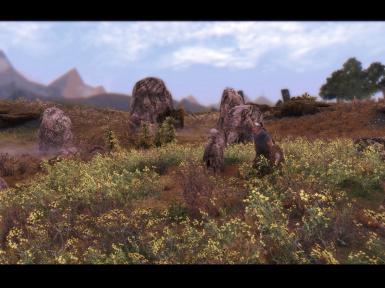 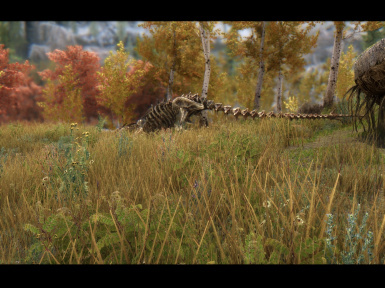 Not always the same grasses for Forest zones, Whiterun tundra, The Rift or The Reach. 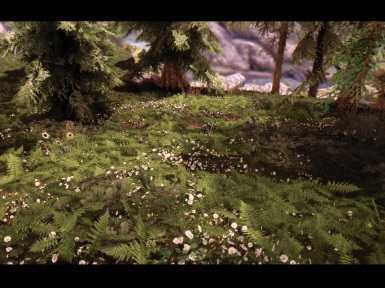 So what I did was add more landcapes and tweak cell blocks adding more spots with different combinations. 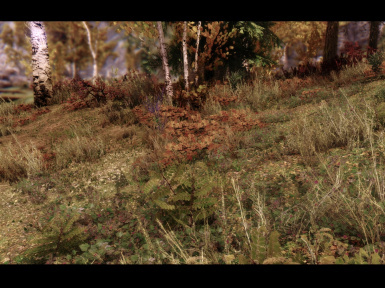 Check screens below for some of them. 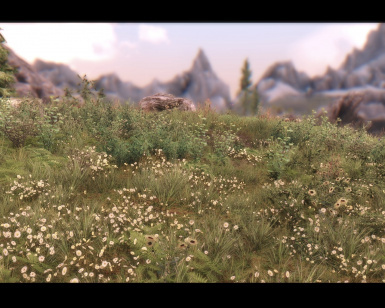 Also some landscapes have a combination of many grasses and plants, but with different densities putting details on the plants to not look like a mess. 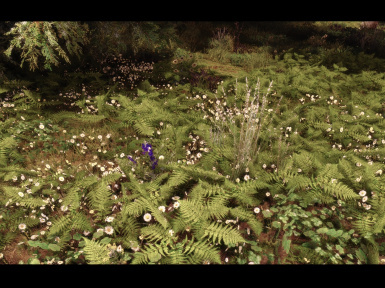 - There are almost 120 different types of plants and grasses. 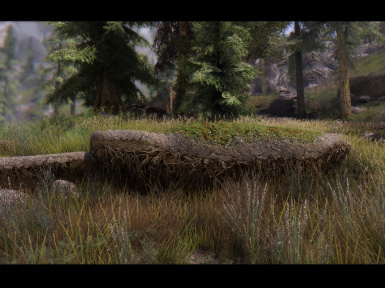 - Rework on some of the old textures. 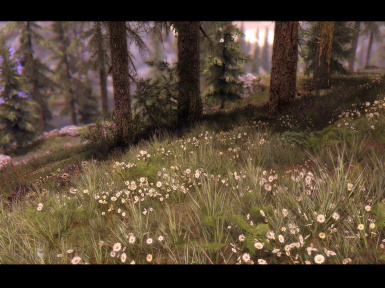 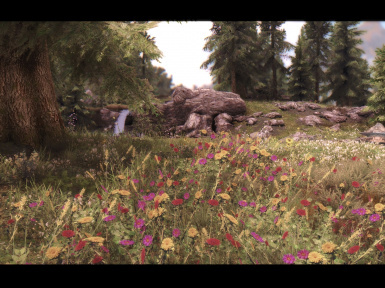 New ferns, riverwood grass, daisies and more. 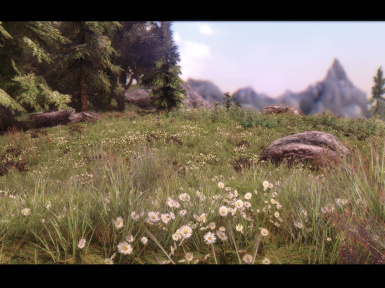 - Rare spots with different grass combinations to add variety. 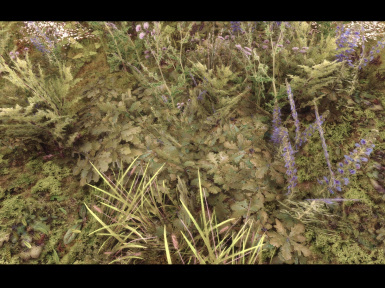 - New textures for shrubs and bushes like mimosa, pines and whatever the others are called. 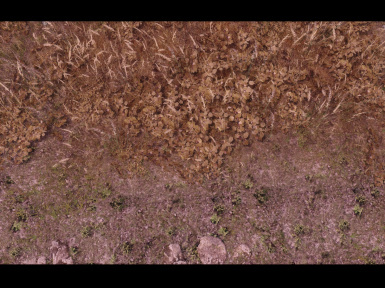 - New farmland texture to avoid grasses on it. 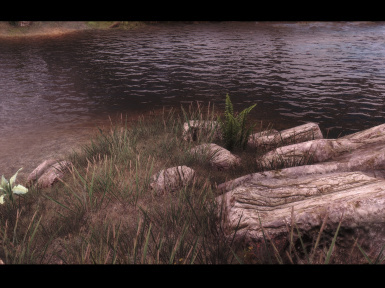 -1-14-05 Added v.1.1. 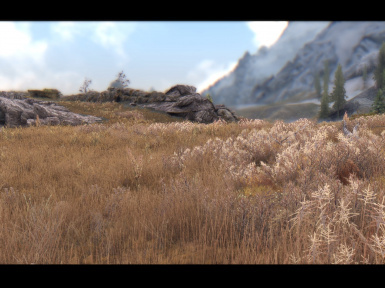 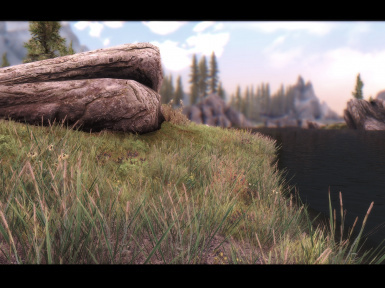 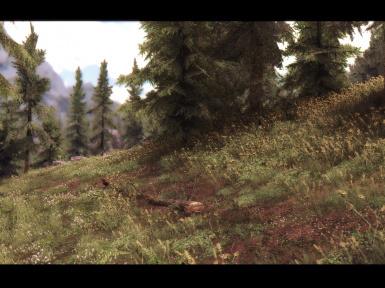 Some clipping fixed, tweaked texture colors and new tall grasses with better look. 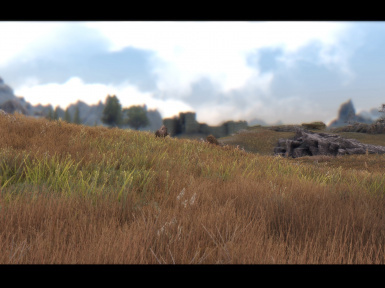 -11-15-04 Added field grass edition, more tall grasses for who like fields of grass. 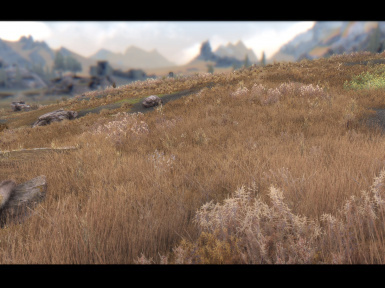 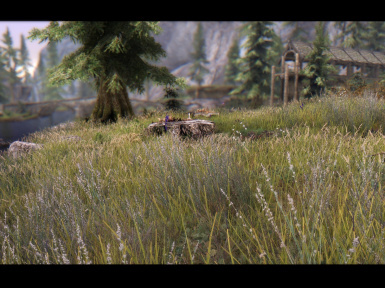 Some new grasses for whiterun replacing old ones. 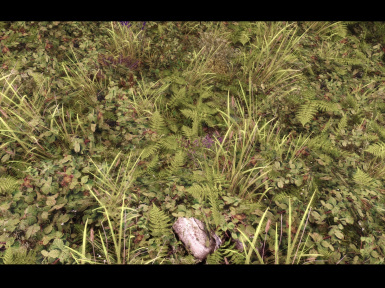 Little fps hit in some places. 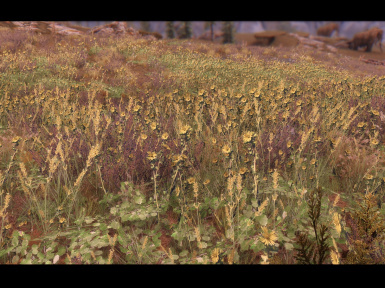 The Rift got more yellow grass also some new ones. 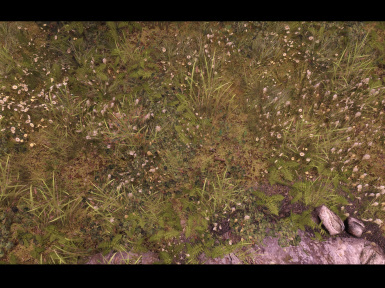 Check screens in middle of screen section. 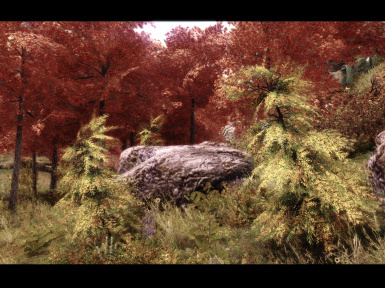 Is some kind of test version to check colors and fps hit. 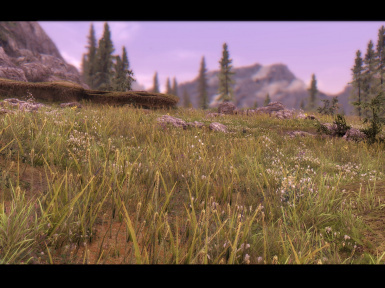 Overwritte all when installing if you have any TR grass mod. 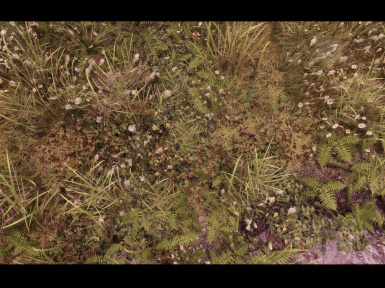 -11-14-04 Uploaded a missing texture, whiterun fern. 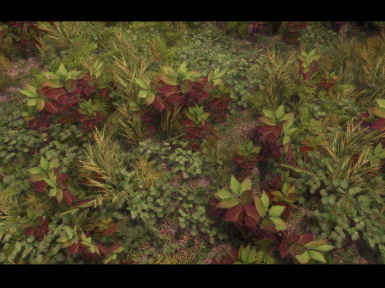 If you already have the old TR Flora.esp overwrite it. 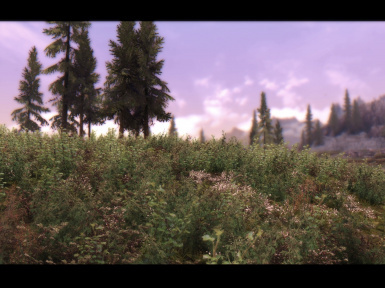 1- Download the files you want and install via NMM or copying content into Skyrim/data folder and click "yes" when prompted. 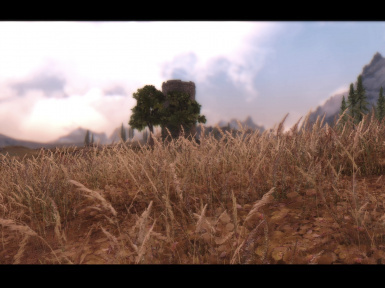 2- Activate the .esp file in NMM. 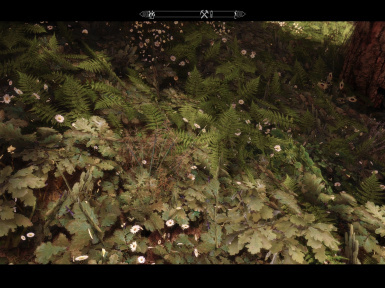 3- If you want to use any optional file, chose the file and install via NMM or copying content into Skyrim/data folder and click "yes" when prompted. 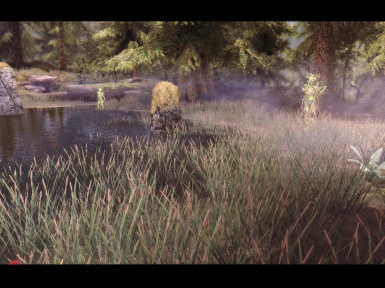 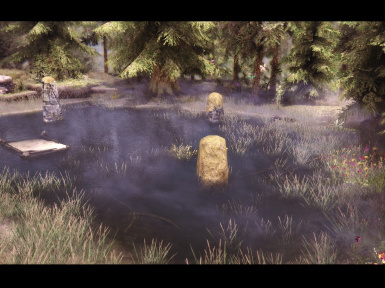 Seems that people got working the first version with SFO 2, Uniquegrasses and other grass mods. 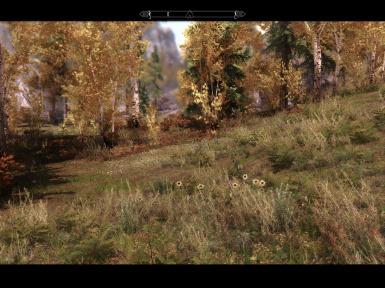 All depends of which mod is installed the latest and which one is loaded the latest. 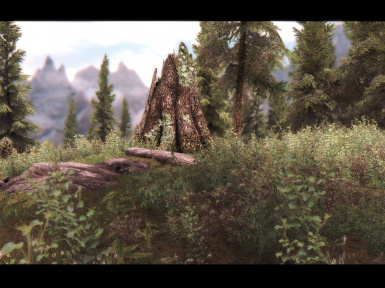 If u want TRF, install it the latest and also load it after any texture mod. 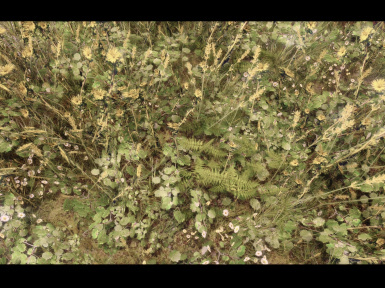 That means if you are using TR textures and parallas, TRF must be loaded and installed after (below) to overwrite grasses. 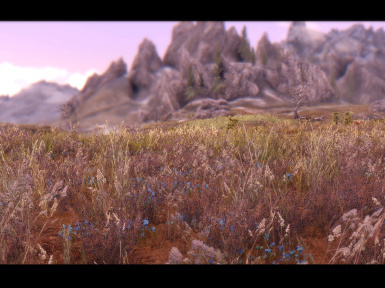 I included as optional files the TR textures & parallax landscape textures to make grasses melt with terrain. 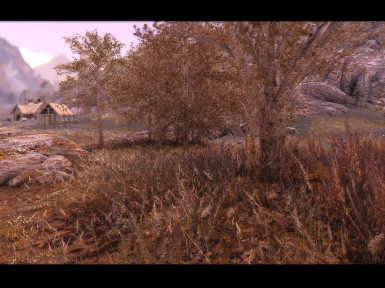 Other mod textures will work good too. 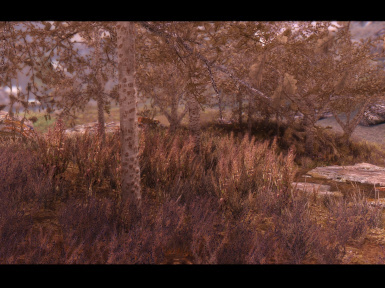 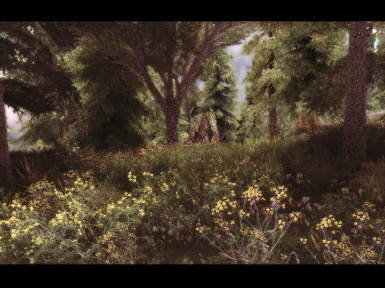 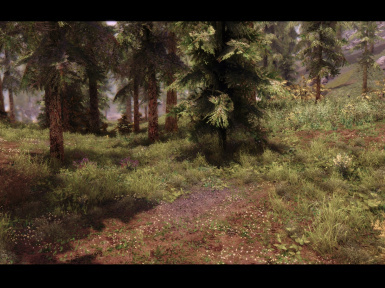 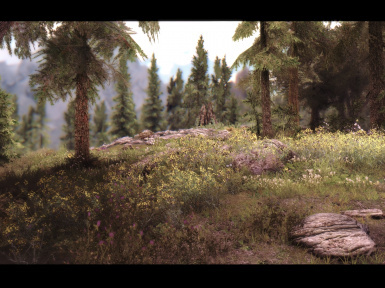 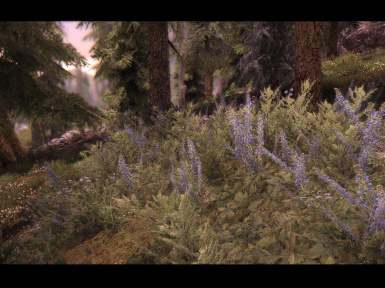 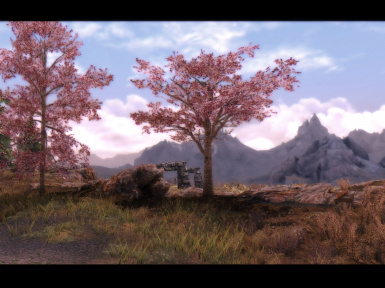 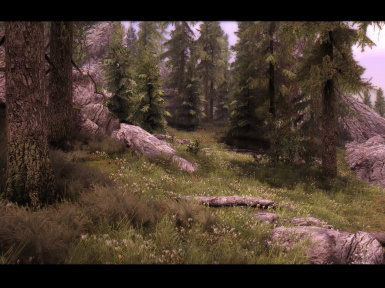 For the pics i used last version of Tamriel Reloaded ENB. 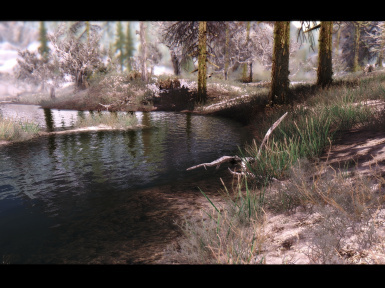 WATER (Never used Pure waters but must work). 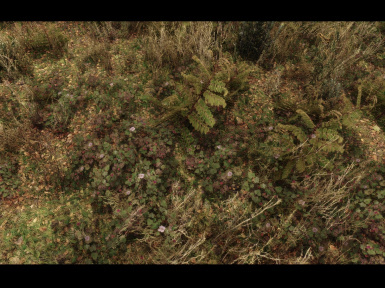 Some of the shrubs: mimosa, pine and whatever01.